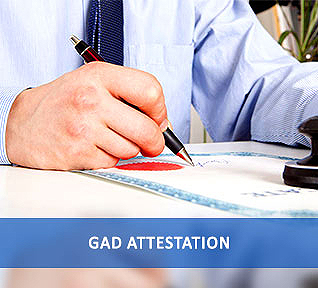 GAD or the General Administration Department Attestation is the type of attestation done by the Home department of the State. GAD attestation is done for Andhra and Telangana states. It is equivalent to the HRD attestation in other states. It is mainly done for educational documents from government recognized schools and universities. GAD attestation is compulsory for anyone who completed their education from government recognized schools and universities of Andhra and Telangana states. Similar to the HRD attestation, GAD attestation is required while migrating to another country for higher studies or employment. It is needed while applying for admission in foreign universities and schools. The attestation is mainly needed to prove the authenticity of the documents submitted by you. It is required for verification purpose for getting employment as well as some licensing purposes. Urogulf helps you in getting the GAD attestation for Andhra and Telangana states. You can submit the documents for GAD attestation in any of the Urogulf office in India and abroad. We do the attestation without involving any third parties in the process. Therefore, we guarantee you 100% genuine and reliable attestation services. We provide superior quality attestation services according to the requirements of our customers. We have more than 150 offices operating in all major cities of India and abroad. So we can provide GAD attestation for Hyderabad, Andhra and Telangana within a limited time period. Good & Genuine attestation services.